Have you ever swung on a hammock? There’s just something about it that seems to take you to another realm. You feel calm and like you have all the time in the world. Personally, I believe, you cannot worry while you’re in one! When I came across Marga Odahowski’s The Way Of The Hammock on NetGalley, I knew I just had to read it and review it. 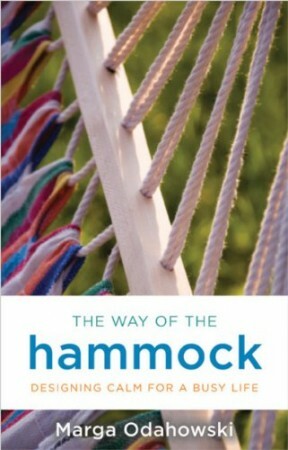 The Way of the Hammock provides a busy person with practical ways to cultivate calm and enhance creativity. Marga Odahowski shares simple techniques and powerful stories that emphasize the value of relaxation, mindfulness, and positivity in strengthening decision making and achieving greater peace and well-being. Marga also draws on a designer’s method of visualization and reiteration to help you maintain beauty and ease throughout the change process. Designers know that a playful attitude and joyful mind-set are essential to insight and innovation . . . and why should they have all the fun! This book will become your own well-worn tool for transformation from “crazy busy” to calm and creative. Implement simple, straightforward techniques for overcoming challenges in your life and making each day feel relaxed, positive, and fulfilled. Make confident decisions with one easy practice. Use a design tool customized to enhance your creativity and provide relief from tension, stress, and anxiety. Marga Odahowski is an inspirational speaker, teacher, mentor, and corporate consultant. An entrepreneur in education and business leadership, she is skilled in integrating information from various fields, bringing mind-body research to life in the classroom. As a consultant she developed the Mindful Executive program for the MBA for Executives at the Darden School of Business, and has also taught mindfulness-based courses at the University of Virginia for more than 20 years. 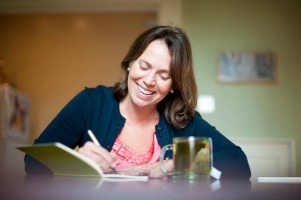 Marga lives in Charlottesville, Virginia, and teaches around the world. The Universe never fails to surprise me by bringing to me people and resources that are just what I need. The Way of the Hammock fits in with my own attempts at practising mindfulness and learning to re-design my life and make more space for calm and joy. I found the book full of practical wisdom and the author helps you to journey within oneself to draw from the inner wisdom that is within each of us. Just as we swing in the hammock on a beach, we can recreate that feeling as we learn to get more in touch with our body’s signals. As we follow the practices that the author suggests, we can learn to ‘go slow’ and not allow life to overwhelm us. Relaxation can teach us to be present to ourselves and thus lead to inner freedom and joy. I leave you with this from the book. Join Janine Ripper and Mackenzie Glanville and some other cool bloggers (me included!) for the #FridayReflections every week. – Write about 10 things you are grateful for this week. – Write a book review. – Look through your photographs and choose one to write about. Also joining the #MidlifeLuv Linkup hosted by Kimberly Montgomery of Fifty Jewels and Elena of Living With Batman. Oh man I LOVE hammocks!!! It’s a real shame I have one sitting in the shed still waiting to be put up! ARGH! Man, I love hammocks. I miss them here in Belgium. I dream of living in a place where I can have one. It reminds me of days at the beach, or just in my studio when I was little. It makes me want to read this book. Thanks for sharing it Corinne! Hi Corinne what a great review. I’ve never been in a hammock so better put that on the bucket list. I love 5 minute Weekly Hammock Relaxation Practice. #FridayReflections. This reminds me that I have a hammock complete with its own frame since we don’t have trees that would support one. I should totally get it back out of the box! Thank you for sharing. The book seems like a good read.